Still using a wired printer? Is it causing a lot of inconvenience, as you still need to connect your printer to your computer? Well, there are some easy ways to turn your old wired printer into a wireless printer. Today most printers are network enabled by default. All you need to do is connect the printer using Ethernet port or Wi-Fi and start printing from any computer within the home network. 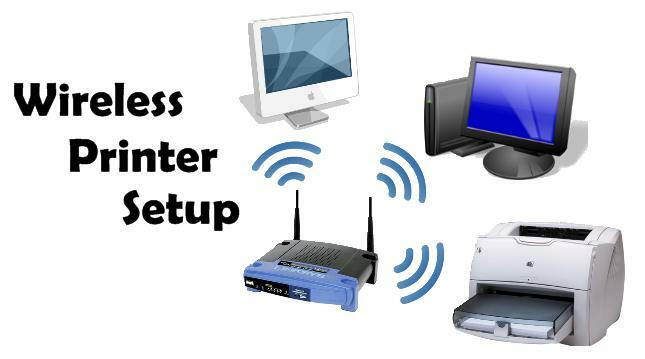 If you have an USB based wired printer, you can turn it into a wireless printer. This can be done using a wireless print server. These small devices look similar to a wireless router. Using a regular USB, cable connect the printer to this wireless print server. It will allow your wired printer to become available to other computers and devices within a wireless network. A few wireless print servers also double up as wireless routers. If you do not have a wireless router, then investing in one will be wise. This is the simplest and easiest way to turn your wired printer wireless. Another way is to share your printer with other PCs in the home or office. Just go to the Control Panel in Windows and connect it to the host computer. Now, enable the printer to be shared on the network by other connected computers and devices. However, you need to keep the host computer powered on at all times or other computers will not be able to print using the shared printer.